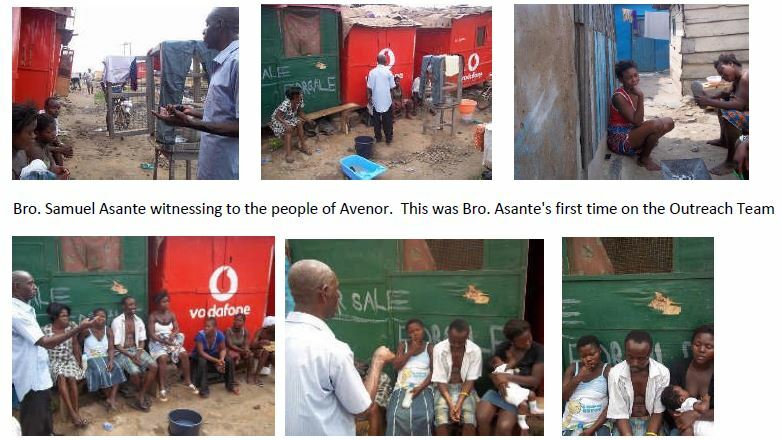 The CMM outreach team, as usual, has started their new year 2011 soul winning and follow-up evangelistic programe at Avenor – Accra on 24th January 2011. The team started at 9:15 a.m. and closed at 12:25 p.m. 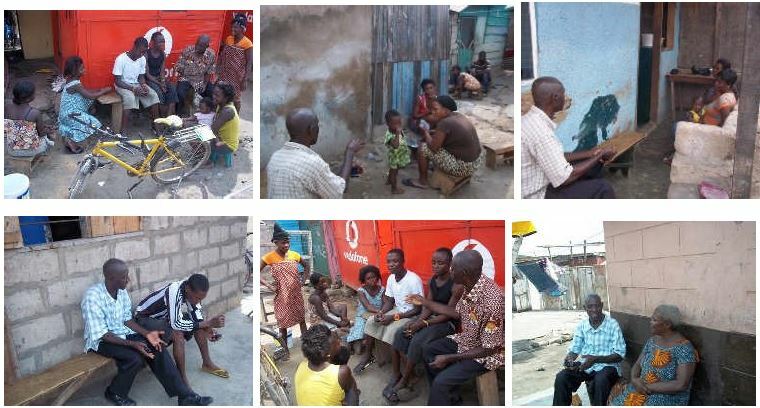 The team spoke to eleven (11) people and one (1) of them received Christ. The convert’s name is Abena Vida. She was before described as a witch and demon possessed person but after ministering the word of God and accepting Christ the neighbours rejoiced with her. We also counseled a divorced woman and encouraged her with the word of God. The team continued on the second day about 10:00 a.m. and closed at 2:10 p.m.We visited 18 people and 8 accepted Christ as their personal saviour. 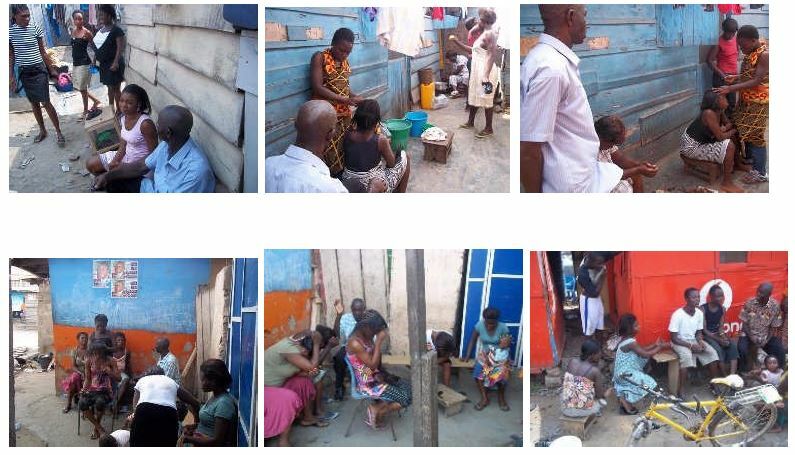 Some of them were drug addicts of whom one of them requested for prayer from drug and alcoholism. His name is Appiah. We advised and prayed for him. The team reached out on the third day at 9:20 a.m. to 12:45 p.m. We visited a group of young women and encouraged them with the word of God and five gave their lives to Christ. We also witnessed to 8 people who all gave their life to Christ making the number 13 souls won. On the fourth day, the team began at 9:09 a.m. to 1:00 p.m. We followed up to the souls won and encouraged them in the Lord. We also directed them to the CMM office for further studies.